The Quebec-based St-Hubert restaurant business has agreed to be acquired by the owner of the Swiss Chalet chain for $537 million. St-Hubert and Swiss Chalet: 'The two companies share similar management philosophy and fundamental values,' said St-Hubert Group chief executive Jean-Pierre Léger in a release. 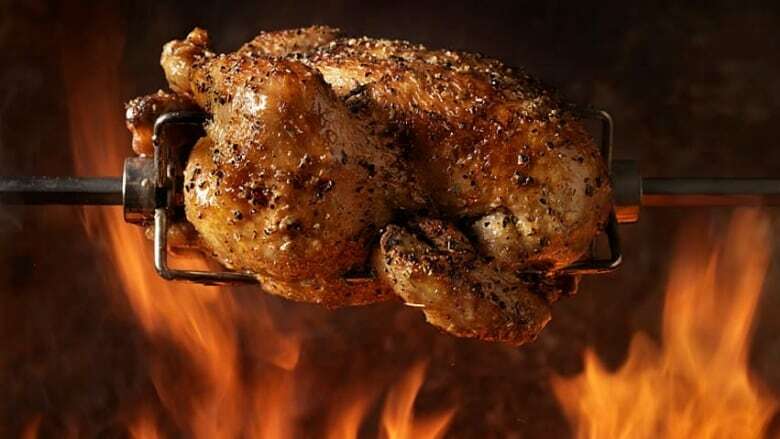 The Quebec-based St-Hubert restaurant business has agreed to be acquired by the owner of the Swiss Chalet chain for $537 million, creating a rotisserie-chicken titan among Canadian restaurant chains. In addition to 120 outlets, almost all of them in Quebec, Cara Operations Ltd. will acquire two food manufacturing plants, two distribution centres and a real estate portfolio. Cara says St-Hubert will fit strategically with its business, which includes numerous restaurant brands such as Swiss Chalet, Harvey's and Milestones. "For Cara, this is also an opportunity to solidify a more significant presence in Quebec," Cara chief executive Bill Gregson said in a release. "Today, we are very proud to be associated with this Quebec jewel and our desire is to propel its growth and influence." Cara currently has 1,010 franchised and corporate restaurants, including 37 located internationally. The Toronto-area company, based in Vaughan, says it has a limited retail presence in Quebec and will use St-Hubert's head office in Laval as its Quebec base. Cara also sees St-Hubert's food manufacturing business — which makes two-thirds of its sales through external customers such as Sobeys, Loblaw, Costco and Metro — as a major growth opportunity. St-Hubert has more than 10,000 employees, the company said. It was founded in Montreal in 1951.